As part of Moderation(s), the year-long collaboration in 2013 between Witte de With, Rotterdam, and Spring Workshop, Hong Kong, curators-in-residence Latitudes have invited artist Yuk King Tan (China/New Zealand) to develop a day-long tour of Hong Kong retelling the city and artistic concerns through personal itineraries and waypoints. To complement the tour, please check the twitter and facebook and soundcloud posts via storify. 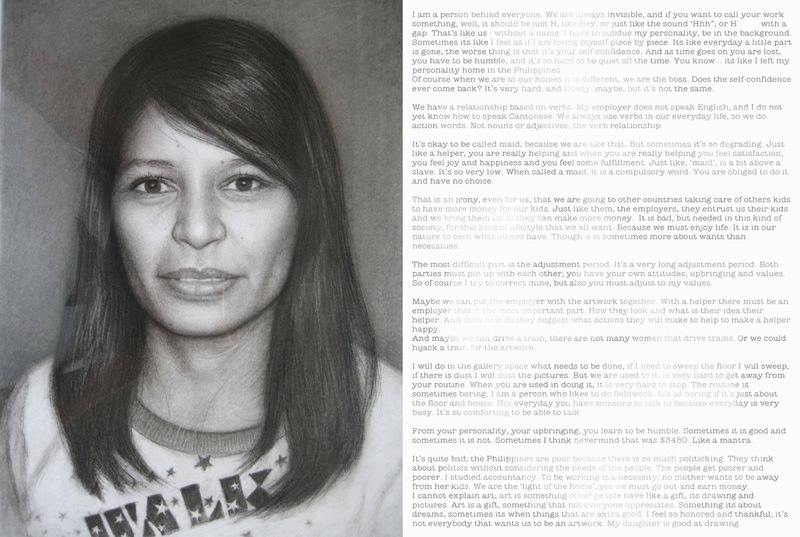 My art practice is a series of negotiations, folding ideas, curiosities, structures and translations which together form stories that are not entirely expected or make narratives in a slightly unfamiliar tongue. I am curious about systems of value: what is valuable and how does it appreciate? Who defines value and is that control static or creative? Where and how do we house what is seen as precious and what is finally disposable? A large part of the tour is not only about looking at sites but about visiting the people that inhabit these places and hearing their stories. Connecting different inhabitants of Hong Kong with the tour may even intervene in how certain groups see their roles. 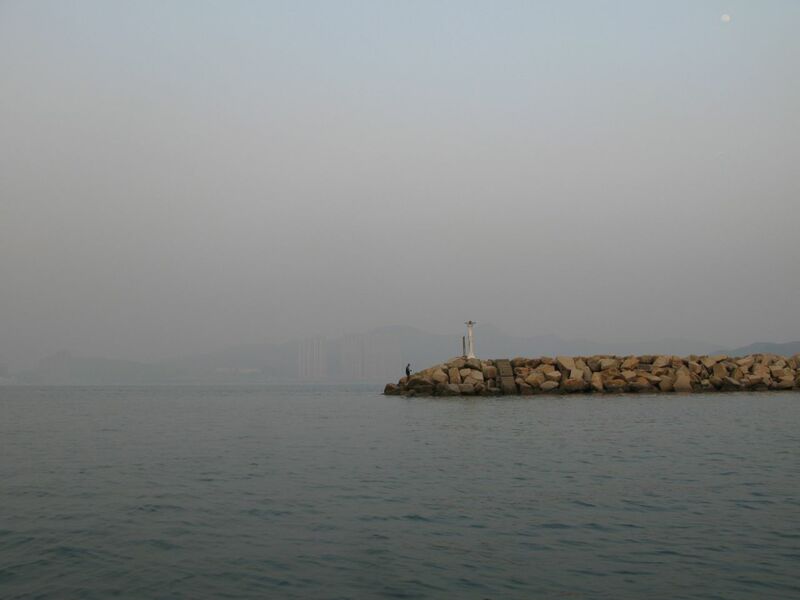 In Hong Kong people live parallel lives. It is ironic that in such an over-populated hyper urban city, people cohabitating in one home can find themselves in completely separate, disparate existences. Part of my art process tries to investigative and re-form, and part of the tour looks at the positioning between host and visitor, migrant and home, belief and skepticism. At the first art talk I ever gave I dressed as a tour guide, and with a loose mid-west American accent, I narrated a tour about art practice by highlighting art work seen and made and books read as various ‘attractions’, which were ingested over a travel slide presentation and onboard snacks. 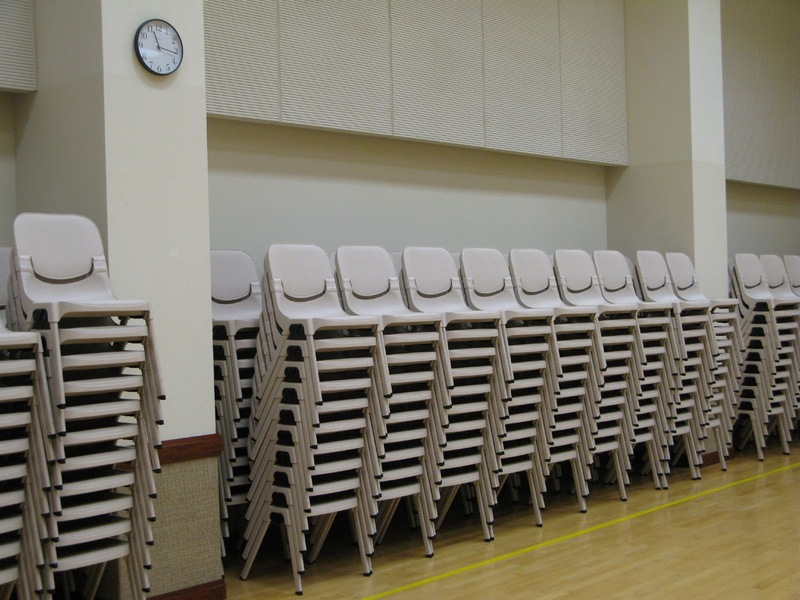 Like a twisted Greyhound bus tour complete with uniform and a cheerily dismissive attitude, I was interested in the distancing devices defining one’s art practice around the performance of presenting artwork in general. Any tour is an act of intimacy and distance. The act of memory is also a creative and theatrical set of gestures. 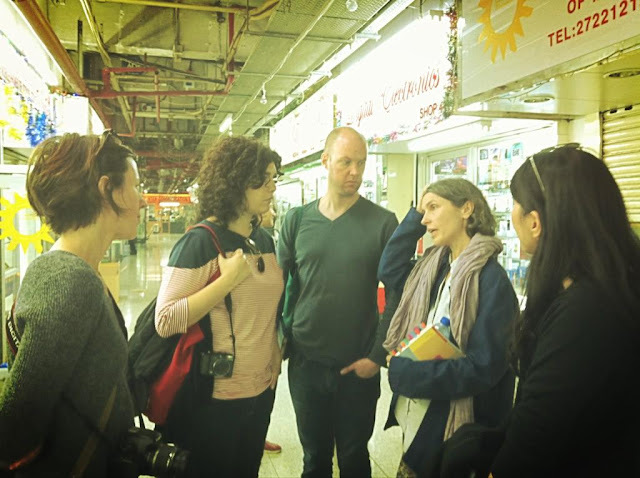 This tour is a set around actions and meetings which are intimate, truthful and theatrical just as Hong Kong is a city rife with the potential for drama, fantasy and invention. I hope that the people we meet on the tour share in a larger discussion about what is valuable and what cannot be quantified. 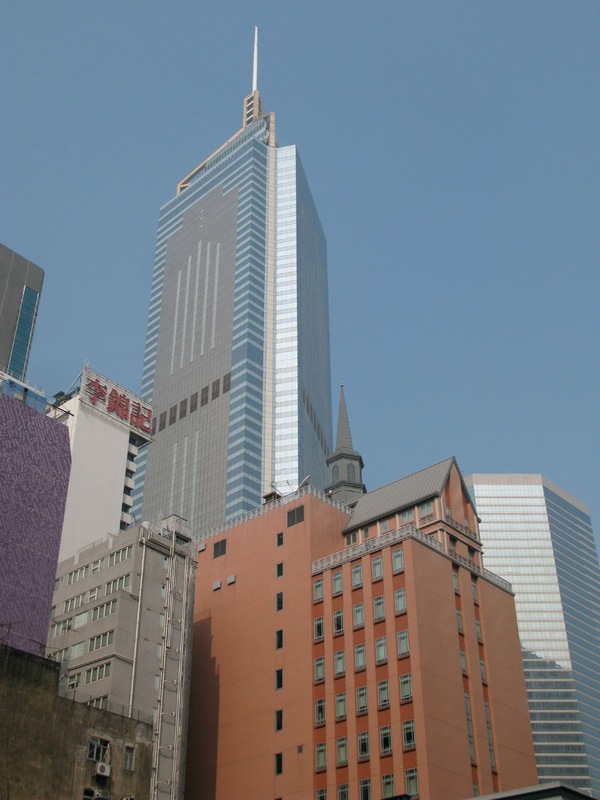 The 12-storey meeting house buildling of The Church of Jesus Christ of Latter-day Saints in Wan Chai, Hong Kong, administrative headquarters of the Mormon church in Asia. In a early artwork “I am the light of the world, Dlrow eht fo thgil eht ma I” I made a video about a photograph made by group of New Zealand missionaries who went to southern China in the 1940s to spread the word of Christianty – a mission that unfortunately was a political and social disaster. The work was an image of the missionaries created entirely from firecrackers. In the video loop the firecrackers explode into a blaze of furious golden fire until the footage is reversed, setting up a continuous cycle of destruction and reformation. 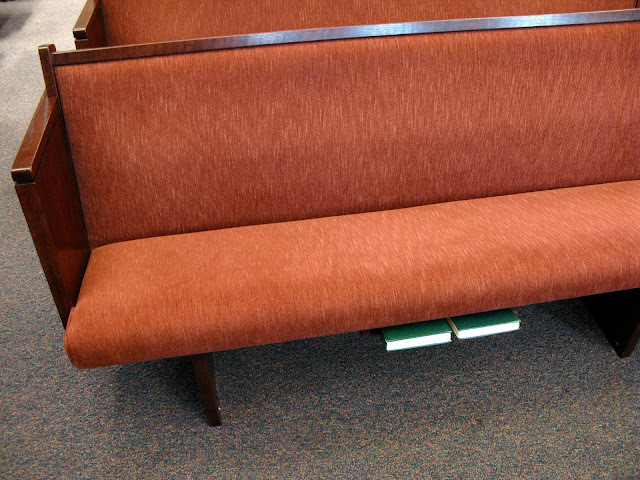 Elder Elliot. Courtesy Yuk King Tan. 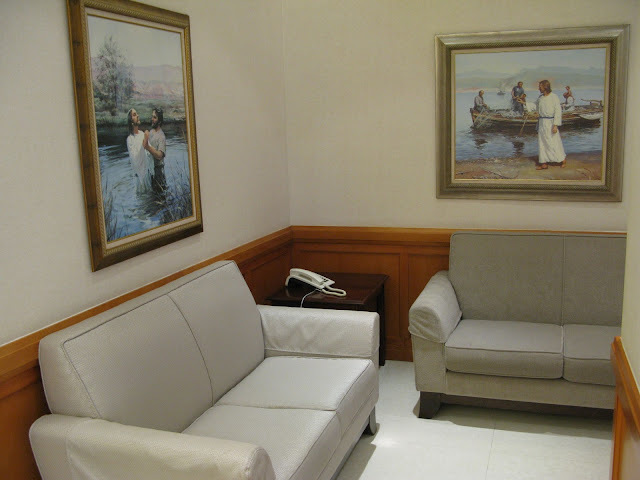 Part of my general research is about the economic moves of The Church of Jesus Christ of Latter-day Saints (LDS Church) as they are set up Hong Kong as a base to bring the Mormon Church into Mainland China. The Wanchai Meetinghouse is a 12-storey building that serves as meeting place for 12 wards, the administrative headquarters for the LDS Church in the Asia region and, with three apartments on top floor housing the church ‘Area Presidency’, as the obvious symbol of the reach of the Mormon faith. Designed by a Mormon architect Leland Gray and his son Stephen Gray its presence suggests that one of the most regimented Christian religions in the world will also move towards a strong presence in China. Inside the Meetinghouse is a maze of rooms: sports courts, multi-purpose prayer-zones, music and classrooms all decorated with spiritually focused paintings. 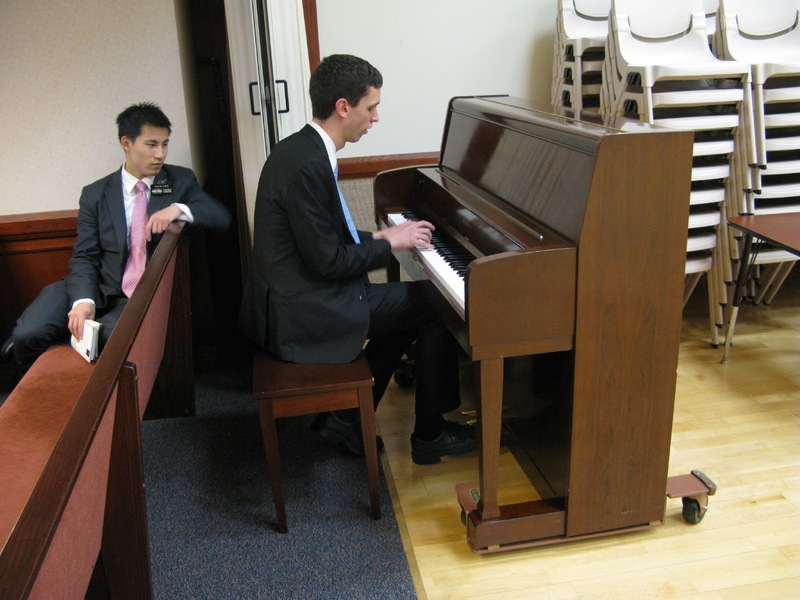 The Church of the Latter Day Saints requires one-tenth of their follower’s income as part of the tilling process and also committed unpaid service such as the two-year missionary tours undertaken by 19-25 year old Mormons. 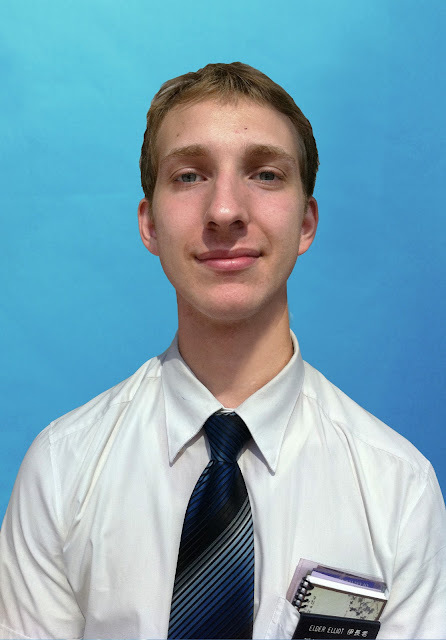 I became interested in the missionaries ideas about language, belief, politics and service. Most of the missionaries are required to learn as much about their host country and language of the country as possible, they even have at times have a new terminology that fuses the slang from the host country with the language of the faith and church. The Wan Chai Meetinghouse has become a type of “one-stop baptism shop” where Mainland Chinese people can be anointed a ‘Mormon’ in just twelve hours to try to circumnavigate the backlash from communist officials. As most of the churches in Hong Kong are run on a tight economic business model, the possibility of using the city as a base into China’s billion possible new recruits can be seen of as an golden, priceless opportunity. One of the three chapels. Our guides share some of their musical skills. 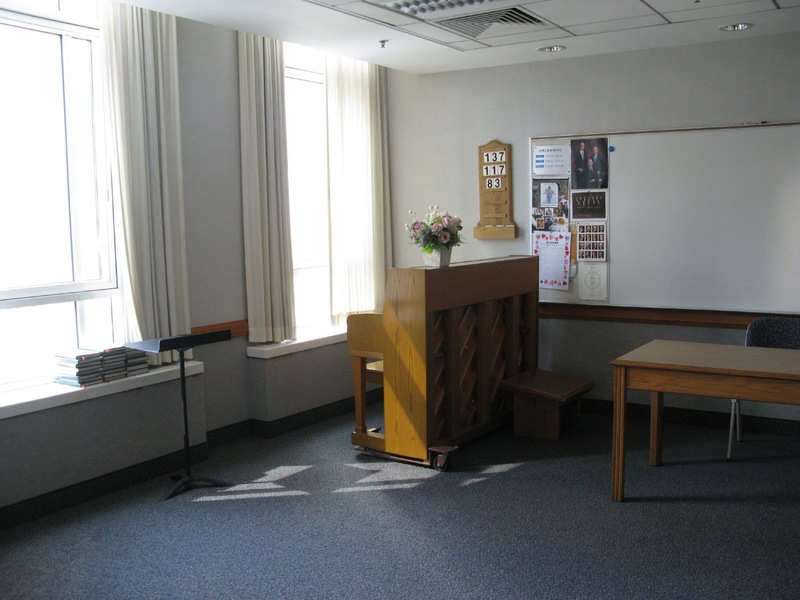 One of the many congregation/teaching rooms. Chung King Mansions and the nearby Mirador Mansions on Nathan Road, include low-budget guesthouses, electronic stores, clothing shops, sari stores, curry houses, tailors, and foreign exchange office. It has been estimated that 4,000 people live in the Mansions. I became interested in the light well structures when I first arrived in Hong Kong. They seemed something like a physical metaphor for the very density of change that Hong Kong aspires too achieve. The pipes and internal systems climbing up the buildings are a form of root system and, as the bars barricading the top of the wells are unable to prevent large collection of rubbish thrown at the bottom, the wells suggest the contrasts between daylight with dark obscurity, connection versus containment. A friend, who is a caretaker of the poorest housing estates in Hong Kong, once described a story where a young man wrenched off the bars at the top of the light well and from a cocktail of hallucinogens and perhaps suicidal thoughts jumped down the well. After hitting most of the air conditioners and injuring himself on the metal clothing racks he hit the bottom but survived as his body was expectedly cushioned by the huge amount of garbage that had been tossed down there. At Chung King Mansions we will be lead through the floors by another filmmaker, Berlin-based Elke Marhöfer who currently lives in the mansions recording and researching the stories from African traders for a film about exchange, migrants and trading with sub-Saharan Africa. 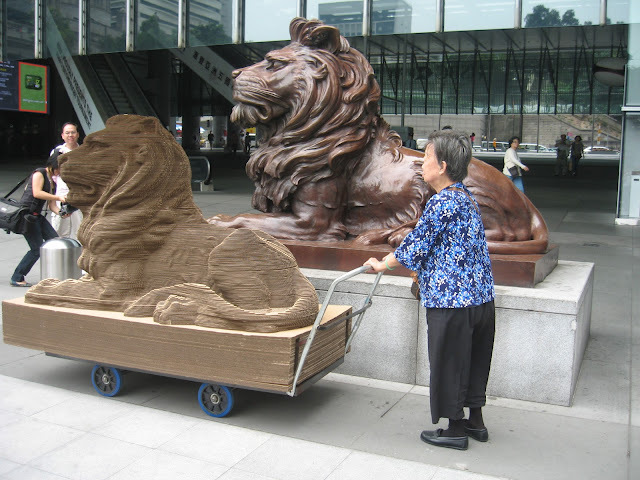 Berlin-based artist Elke Marhöfer joins us for a bit during our Mansions visit and tells us about the filming project she has been conducting in recent weeks focusing on the trade between Africa and Asia. Photo: Heman Chong. 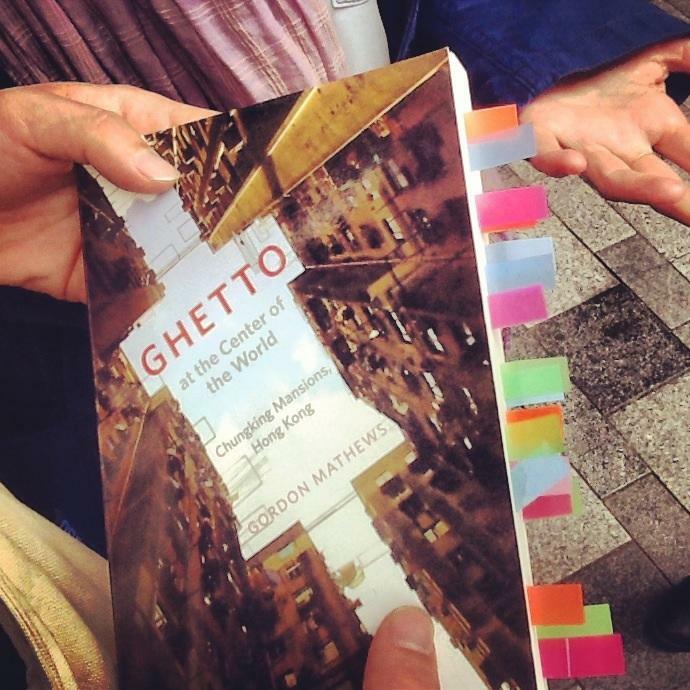 Elke recommends Gordon Matthews' book "Ghetto at the center of the world. ChungKing Mansions, Hong Kong" (The University of Chicago Press, 2011). 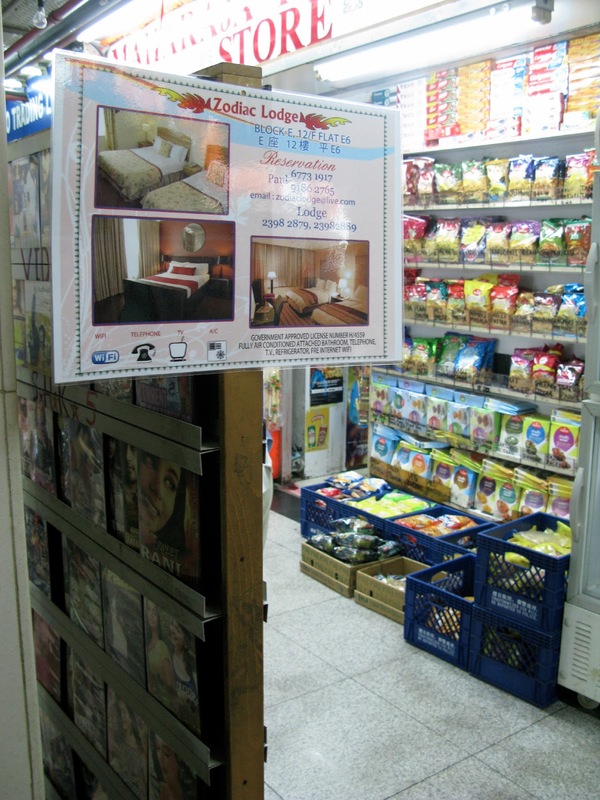 Advertising low-budget lodging in the corridors of Chungking Mansions. 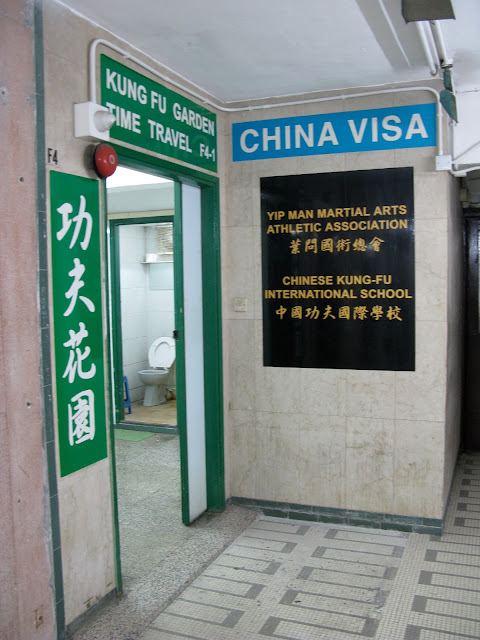 First floor of Chungking Mansions. Boxed merchandise in Chungking Mansions. Mirador Mansions (more photos here). Notice board in Mirador Mansions. 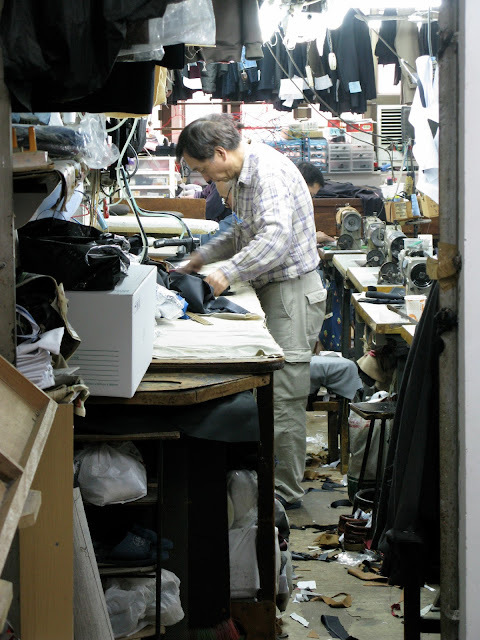 Tailor workshop in Mirador Mansions. In the stairwell of Mirador Mansions. Photo: Mimi Brown. Monica's enterprises, a sari store in Mirador Mansions. Laundry and A/C at Mirador Mansions. A lost mexican sombrero in the Mirador Mansions. The tour of the Kowloon Mosque is lead by an Imam, Muhammad Ashrad. Both the mansions and the Kowloon Mosque hold 4,000 people and in many ways the two structures have defined the urban population of that area. As the largest and most attended mosque in Hong Kong it also shaped the development of that area, servicing and encouraging the Muslim population to stay and work in close proximity for prayer and for counsel. Most large religious institutions are constructed around notions of belief and grandiosity. The chandeliered grandeur of the main prayer space of the mosque has becomes its own inspirational jewel at the heart of the Muslim in Hong Kong yet by keeping the Muslim population centered around one area, it can be seen as problematic, creating a type of social isolation tank which acerbates the homogeneity of Hong Kong’s cultural make-up. 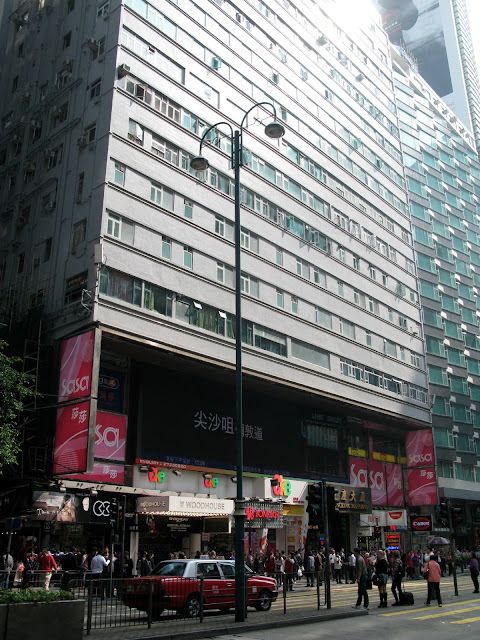 Kowloon Mosque and Islamic Centre in Nathan Road, largest in the city. Photo: Mimi Brown. Yuk King exploring the roof of the Mosque. Tea break with macanese-portuguese pastéis de nata and chicken pie at Macau Dai Pai Dong. 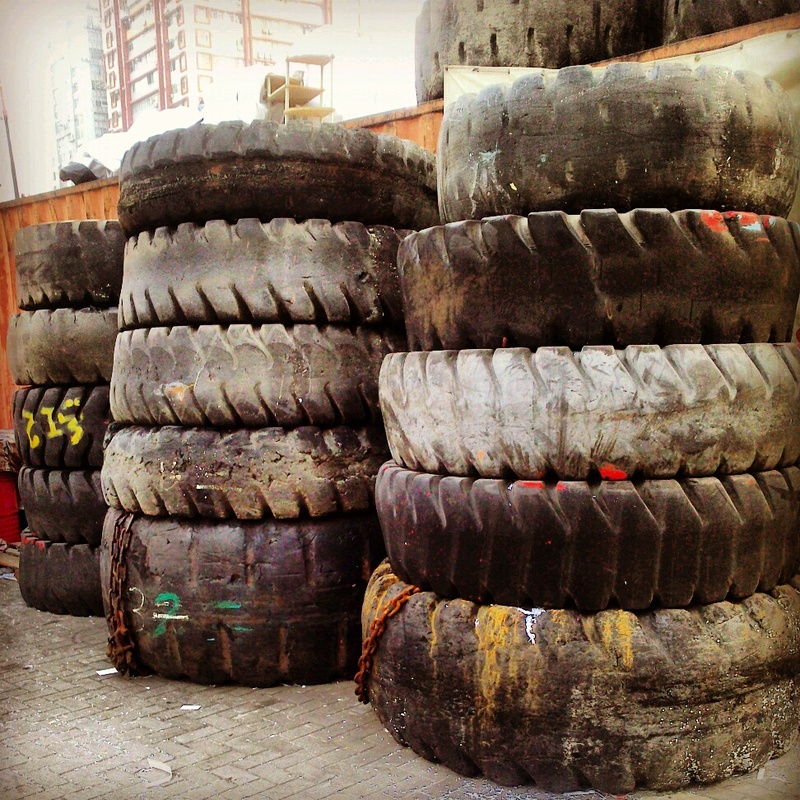 Entrance to the Chai Wan recycling depot, focus of Yuk King Tan's video 'The Limit of Visibility' (2012). My home overlooks the recycling depot of Chai Wan and it’s a daily activity to watch the progress of the boats filled with compacted paper and scrap metal move through the harbour. Two of my art projects have looked at value in terms of recycling and labour. 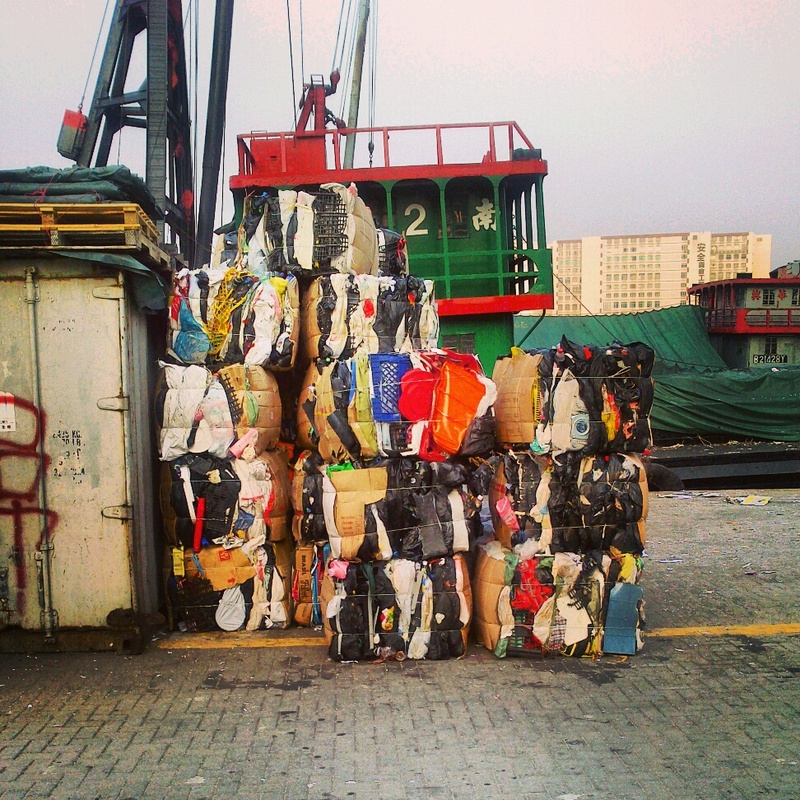 The video ‘Scavenger’ followed the work of elderly recycle-trolley workers, named ‘scavengers’ in Hong Kong, and in the video ‘Limit of Visibility’ I filmed the progress of the recycling material around the cargo areas and as it is loaded on ships that take the material to various sites in Hong Kong and China. Still from the video 'Scavenger' (2008). Courtesy Yuk King Tan. 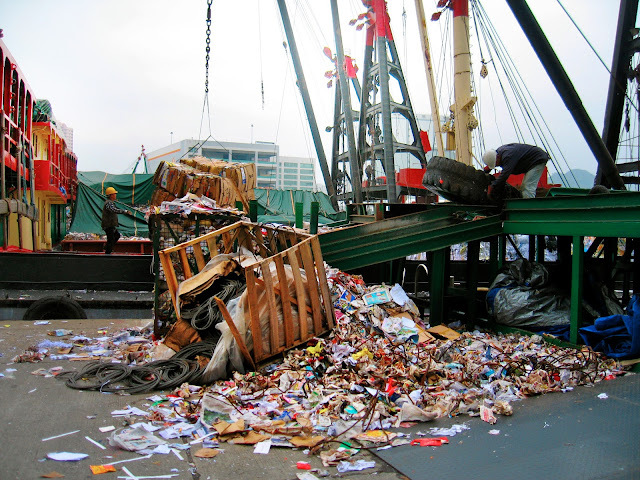 The government owns all of Hong Kong's cargo working areas but private operators lease parts of the cargo bay from the government so that the refuse industry balances in tension between private enterprise and public management. One of the operators of the Chai Wan cargo bay will take us on a tour of the area and talk about his business working in the district over the last four years. The compacted cubes of paper and cardboard, craned from trucks into formal grids carpeting the long barges, can seen as a refuse landscape, the material creating its own mountains and valleys. Compacted into modernist blocks, the previously loose paper detritus is the byproduct of a booming information industry. 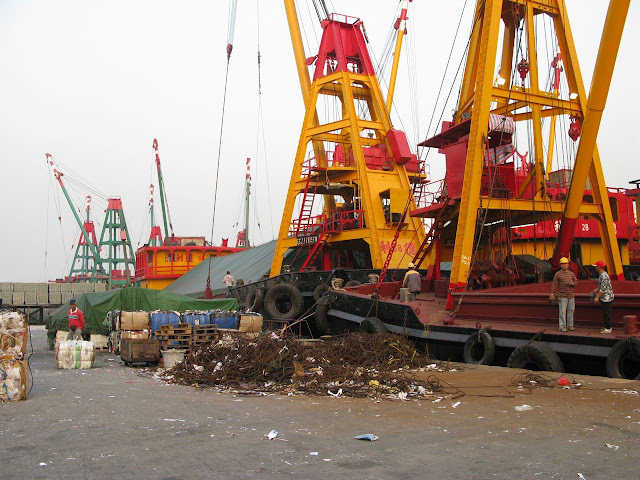 Distributed between masses of ships and industrial crane equipment, this material is prepared to become another kind of vast colony. 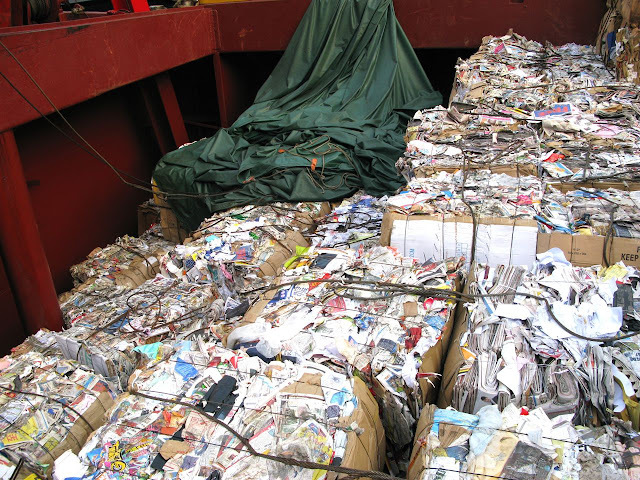 Sent to less developed countries further broken down and salvaged, the waste material is a literal paper trail about the scale, power and wastage of economic development and trade. The sheer tonnage of the paper and the beauty of its compressed form about to undergo future transformation are all tied to the fluctuating market value attached to refuse material. Still from the video "The Limit of Visibility" (2012). Courtesy Yuk King Tan. The recycling industry that brought in so much revenue through the last ten years to ‘recycle cities’ in China has been stymied by the global market slowdown. There are times where the material shipped to China has lost most of its share value over the travel time between ports. The paper cubes are like giant books from the transactions of the city, which now may only be used as landfill. There were stories from China that refuse paper blocks are being used as less than stable filler in creating reclaimed land. For Hong Kong, waste and recycling will always be a complicated issue in a dense and expensive land and property-controlled city. 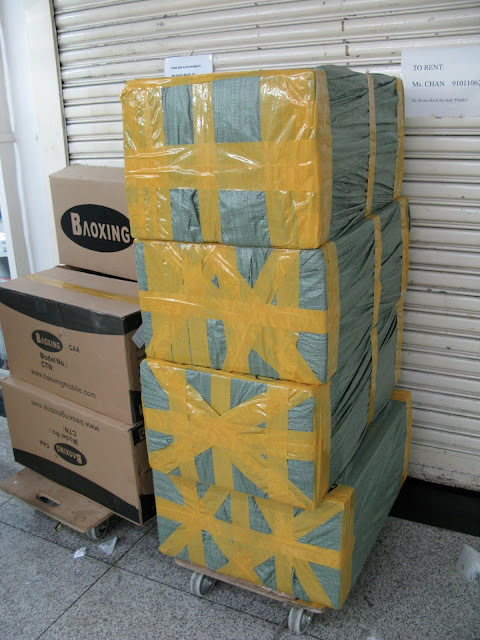 Chai Wan depot transports metal, paper and plastic to mainland China and Taiwan. Boat route Chai Wan to Joss House Bay. 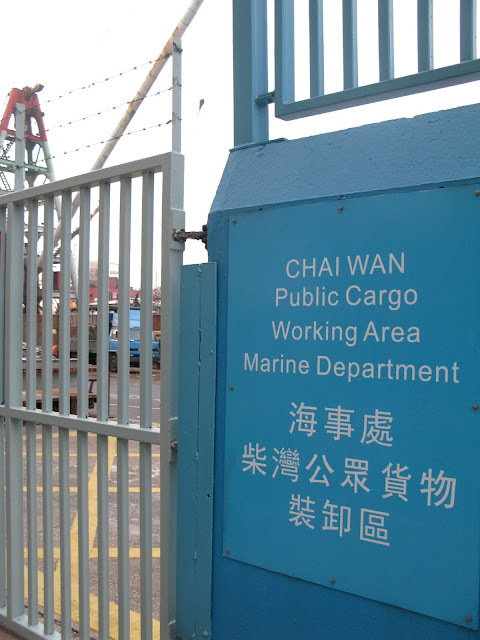 The Chai Wan cargo bay operator who has an office on the Cargo Bay, also runs a small charter boat service from Chai Wan. There is also a fishing boat area close by and we will take a small boat out into the harbour to look at the Hong Kong coastline from both urban and mountain landscape perspective over the sea. The famous Chinese painting trope of mountains and mist painting can be literally seen in Hong Kong landscape. 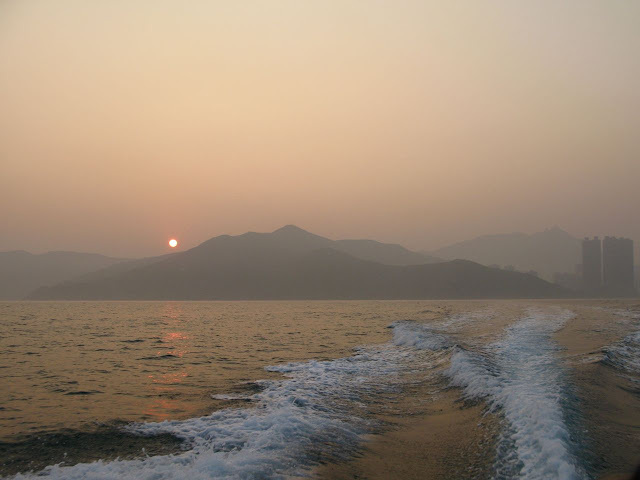 I think of the philosophical traditions of the mountains and mist ink painting or mountain water as an analogy to the values of Hong Kong. The symbolism of a singular figure against nature, or in this case the mountains shrouding a hyper-dense urbanization can be seen best over sunset in a creaky fishing boat navigating between the large cargo tankers and cruise liners. 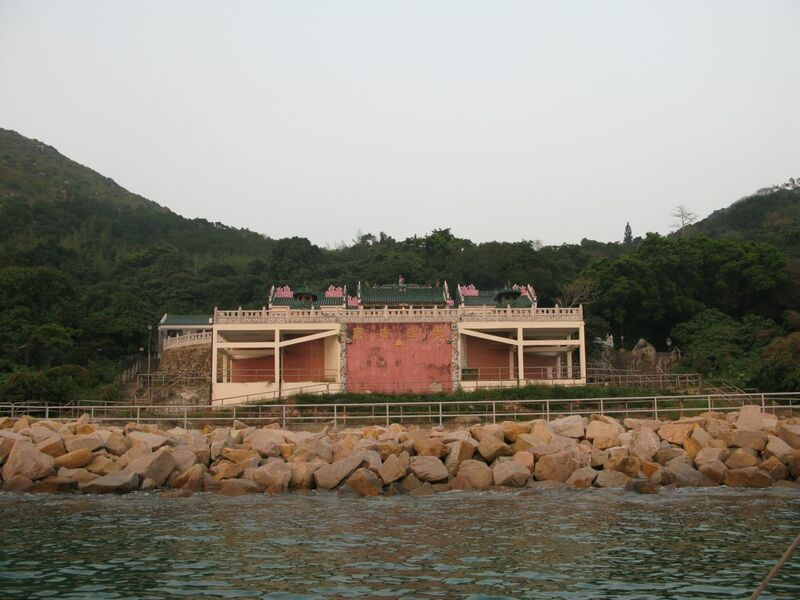 While on the harbour we will visit the largest Tin Hau Temple in Tai Mui Wan (or Joss House Bay) which can only be accessed by water as well as the floating fishing villages of Fat Tong Mun. The Tin Hau Temple at Joss House Bay from the water, the oldest and largest Tin Hau Temple built in 1266. 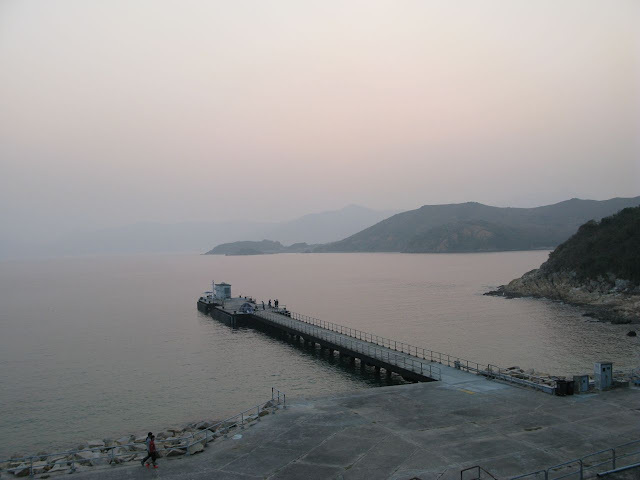 View of the pier and the bay from the Tin Hau Temple, Joss House Bay. 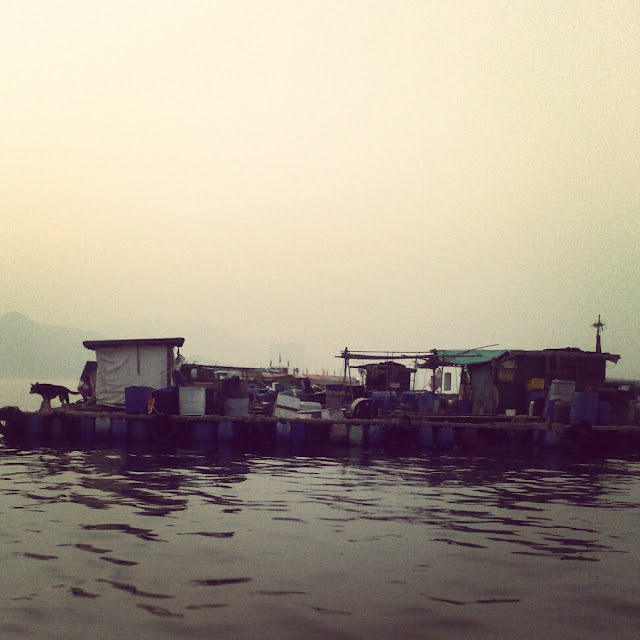 Floating fish farms in the coast of Tung Lung Island. We end with the tour with a dinner at a tiny boarding house where nine domestic helpers will make a meal from the Philippines and discuss political and personal issues around life as a Filipina woman working in Hong Kong. These woman are friends, some of whom I have met, as part of a previous project ‘Helper’ 2009 in which a group of domestic helpers inhabited an gallery in Hong Kong to become both living sculptures and gallery invigilators for the duration of the exhibition. "I am a person behind everyone. We are always invisible, and if you want to call your work something, well, it should be just H, like Hey, or just like the sound ‘Hhh”, or H_____ with a gap. That’s like us - without a name. I have to subdue my personality, be in the background. Sometimes I feel as if I am losing myself piece by piece. Everyday a little part is gone, the worse thing is that it’s your self-confidence. And as time goes on you are lost, you have to be humble, and it’s so hard to be quiet all the time. You know… it's like I left my personality home in the Philippines. We have a relationship based on verbs. 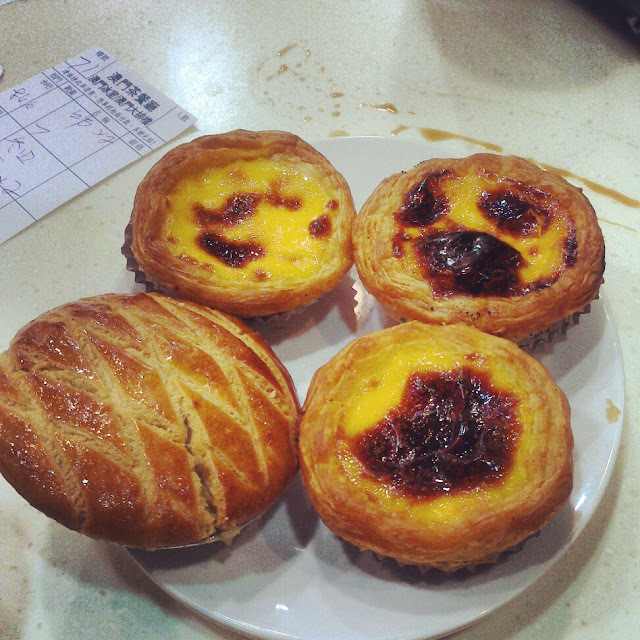 My employer does not speak English, and I do not yet know how to speak Cantonese. We always use verbs in our everyday life, so we do action words. Not nouns or adjectives, the verb relationship. It’s okay to be called maid, because we are like that. But sometimes it’s so degrading. Just like a helper, you are really helping and when you are really helping you feel satisfaction, you feel joy and happiness and you feel some fulfillment. Just like, ‘maid’, is a bit above a slave. It’s so very low. When called a maid, it is a compulsory word. You are obliged to do it and have no choice. That is an irony, even for us, that we are going to other countries taking care of others kids to have more money for our kids. Just like them, the employers, they entrust us their kids and we bring them up so they can make more money. It is bad, but needed in this kind of society, for this kind of lifestyle that we all want. Because we must enjoy life. It is in our nature to seek what others have. Though it is sometimes more about wants than necessities. The most difficult part is the adjustment period. It’s a very long adjustment period. Both parties must put up with each other; you have your own attitudes, upbringing and values. So of course I try to correct mine, but also you must adjust to my values. I will do in the gallery space what needs to be done, if I need to sweep the floor I will sweep, if there is dust I will dust the pictures. But we are used to it, is very hard to get away from your routine. When you are used to doing it, it is very hard to stop. The routine is sometimes boring; I am a person who likes to do fieldwork. It’s so boring if it’s just about the floor and house. Not everyday you have someone to talk to because everyday is very busy. It’s so comforting to be able to talk. It’s quite bad; the Philippines is poor because there is so much politicking. They think about politics without considering the needs of the people. The people get poorer and poorer. I studied accountancy. To be working is a necessity; no mother wants to be away from her kids. We are the ‘light of the home’, yet we must go out and earn money. I cannot explain art; art is something other people have like a gift, its drawing and pictures. Art is a gift, something that not everyone appreciates. Something its about dreams, sometimes its when things that are extra good. I feel so honored and thankful; it’s not everybody that wants us to be an artwork. My daughter is good at drawing." Yuk King Tan has had solo and group exhibitions, most notably at the Hong Kong Arts Centre (1996); Ludwig Forum für Internationale Kunst, Aachen (1999); Museum Fridericianum, Kassel (1999 and 2002); Museum of Contemporary Art, Los Angeles (2000); Camden Arts Centre, London (2000); Wellington City Gallery, New Zealand (2005); and Artists Space, New York (2006); Kunstverein, Hamburg (2008). She has held residencies at Dunedin, New Plymouth, Queensland, Aachen, Sydney, and London and has participated in international biennials in Queensland, Vilnius, Auckland, and São Paulo. She graduated from Elam School of Fine Arts, Auckland University, New Zealand in 1993. She has taught and lectured at graduate and post-graduate art schools. 'Incidents of Travel' tour with Samson Young on 7 February 2013. – This is the blog of the independent curatorial office Latitudes. Follow us on Facebook and @LTTDS.